Advent is a season of expectant waiting and preparation for the celebration of the nativity of Jesus. The name derives from the Latin adventus, meaning “coming.” Marked over the course of the four Sundays before Christmas, Advent is traditionally celebrated with an advent wreath: a ring of evergreen with 3 purple candles and one pink one (or 4 purple candles) that represent: Hope, Love, Joy (pink) and Peace. 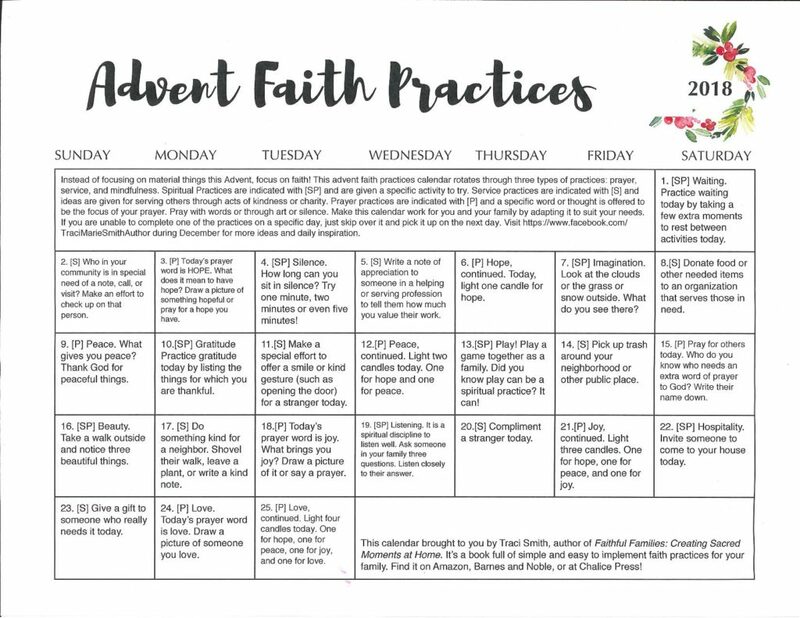 Celebrating a family ritual for advent can be meaningful for Unitarian Universalist families. While the church is bustling much of the time, our office is open Monday through Thursday between 9 am and 5 pm.